Beth is a professional editing unicorn and photographer virtual assistant, taking care of tasks for photographers like retouching and editing, blogging, newsletters, and more. On an average day, you can find her hanging out with Lightroom, drinking, or even playing video games. In her spare time, she enjoys recreational yeti hunting, underwater basketweaving, contemplating the meaning of life, and the color green. WordPress 5.0 is targeted for the end of August. If it meets that time frame, that means by September every WordPress user will have the brand new visual editor experience. A new plugin called Plugin Detective is available, for free, to find plugins potentially causing a problem on your site. 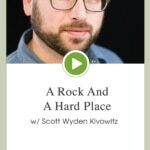 Scott: Welcome to episode 64. My name is Scott Wyden Kivowitz and I'm joined by my guest, Beth Teutschmann. I got it right. Then there's a professional editing Unicorn. End Profess to do that part. Again. 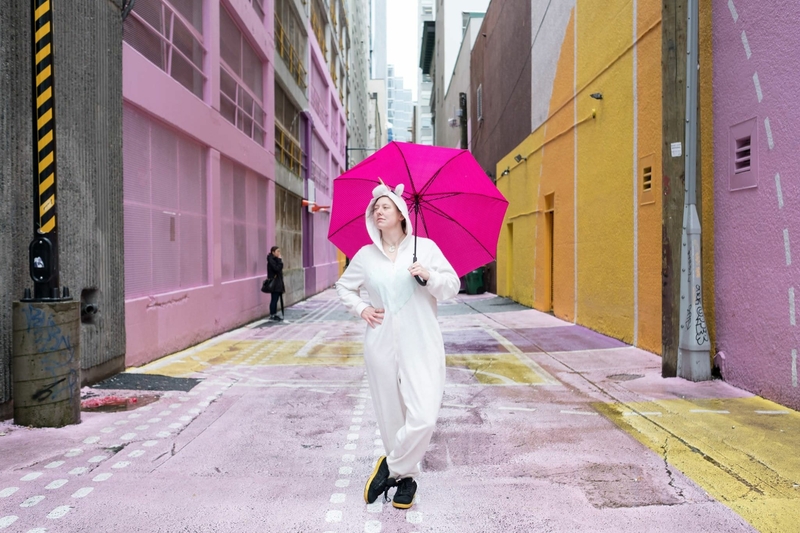 Beth is a professional editing Unicorn and photographer, virtual assistant or va, taking care of tasks, many different tasks for photographers like retouching, editing, blogging, newsletter creation, and so much more. An average day you can find her hanging out in Lightroom. My editing software of choice drinking. I think he's got a bottle of something behind her and even playing video games. What is your video game of choice? Beth: Oh, you. Oh, you know what? I, I could just fall into fall out or Skyrim for days like I'm all about Bethesda Games are so good and so layered and complex. Although I just recently beat Skyrim and then the ending of it was so, so underwhelming. I haven't picked it up since then, but they're coming out with a new fall out later this year and I'm pretty excited about it. Scott: I did hear about that. Yeah. My, uh, my game of choice recently is a player's unknown. Um, I'm sort of going, uh, not that I don't like Fortnight, but I just like players to know him better now. So I've been using that. Scott: um, pretty much everything right now. Everything they just came out with even to tend to switch. So it's on everything and some of them can go cross-platform now. Cross console. Scott: yeah. Yeah. Um, so, so in Beth's spare time she enjoys recreational yeti hunting, underwater basket weaving, weaving and contemplating the meaning of life and the color green. So that's in a nutshell. So I've, I've known Beth for a few years at this point, uh, and she is knowledgeable in so many things and helpful to so many photographers in a variety of things as you have just learned. And so I'm very excited. I've been wanting to get Beth on here for a while, so thank you Beth for joining the show. I'm happy that you're here. Thanks for having me. Yeah, so before we dive into what's going on in your world, I just want to bring up too quick or press news pieces. The first is wordcamp EU workcamp Europe just happened and Matt Mullenweg, the original creator of wordpress, started his big keynote and he said wordpress five point zero is actually targeted for the end of August. Scott: Now this might not happen because it was already delayed from eat, I want to say, so there's a good chance it may not happen in August because this is the where the new visual editor is coming to wordpress. So if it meets the timeframe, that means that by September every wordpress user will have a brand new visual editor experience. But if it doesn't, it just means it's still delayed in coming at some point. So I'm currently targeted for August. We'll see what happens. The other thing is, uh, there's a new plugin that is really interesting called plugin detective. 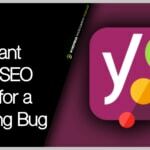 It's available, it's free, and it is a plugin that actually will determine of other plugins that are actually causing problems on your site. So if you are having a problem with something odd going on in your site and you can't pinpoint install plugin detective, it is helpful to actually pinpoint what plugins might be causing your problem. So there you go. I will link to both of those new pieces in the show notes. So Beth, again, welcome. What is going on in your world? Scott: are you rebranding the name as well? Because right now your storyboard editing, right? Scott: Yeah. So, uh, yeah. So are you actually changing the name of the company as well as the website content? Scott: yeah, and the word editing can also work in the blogging sent and the newsletter sent in a bunch of others. So it does, it does. Beth: it's like this Meta. Yeah, the two girls, um, they are uh, in the US sort of, um, one of them is from the US but she travels a lot. She's my retoucher. So like sometimes she's in the US, she's from theu , s and then the other one is in the US permanently. I mean, she lives here year round, so, um, her husband's in the military and she was sick and moving her business. She moved her business like eight times or something ridiculous, like moving with her husband in the military and she's like, I just need a boss. And I'm like, man, if I would've had to move my business twice, I would have been like, I'm done. Scott: that's fantastic. Um, so, uh, you know, we've on this show and just just I guess in the photo industry altogether, it's, it's, it's known that, um, that there's a lot of outsource photo editing available. And so that's why in today's show I want to talk less about the photo editing and more about the blogging and newsletters outsource because that's not talked about that much and I feel like it needs to because it's something that so many photographers avoid doing. They avoid blogging, they avoid their, their email lists because they're, for whatever reason, they're, they're scared of blogging, they don't know what to blog about. They're scared of newsletter, they don't know what to write about for new, you know, in the emails. So let's start with the blogging. Tell us a little bit about your blogging services, what it entails and things like that. Beth: Yeah. So it's, it's pretty customizable to be honest. Like it's, um, one of the ones that we sell. I guess so the most often, so by the way, I do it all by a monthly subscription, so you subscribed per month and then per month, depending on what you're paying, you get x amount of content and we decide all of that upfront ahead of time because I've found that I've offered bargaining services in the past, but what happens is that photographers like pans, they go and then they forget to send me the pictures they want in the content and they just forget to send me the bullet points so I can write content. So it sounds like the best way to keep people accountable is to do it by subscription and sure enough, like consistently, like every month we're putting out content for these people. So like that's like that's the one way I figured out how to make sure people are accountable for making sure they're getting us what we need to do our job and so that then we can actually do our job. Beth: Um, so that being said, it's completely customizable. Um, as far as like what you want for content, I have like a baseline, like a minimum. Um, and which actually sells quite often because people, a lot of times people are like hardly blogged like twice a year and send out to news letters ever. So like even getting out something like monthly once a month is like a huge, like difference for them. So that's what actually sells the most, often is like one blog post in one newsletter per month. Um, and uh, so then what we do is we coordinate, I coordinate everything by dropbox so they send us, I'm like, I have a welcome packet that goes into it and it's like all the details of how the process works. Um, and then each month comes with like a content packet, so they just write everything they need us to know about the session. Beth: Like, because like obviously we weren't there and we don't know. Um, so like they say like maybe stories happened during that day. We always try to write least 300 words for the clients and then we take all the images for Seo, we resize them for website, you know, all that kind of stuff. Add a call to action, make sure we're linking out to other vendors if, if relevant, um, for like, especially with weddings, you'll have like numerous vendors that are involved. Um, so, uh, that's how we coordinate it. And again, like my one editor or a staff editor handles most all of this because she's so good at it. I'm one of, in one of our clients too, who has been doing it now for, I don't know, what, two or three months, three months has moved up to like the second page with ranking of where have, for a couple of different things like that. Beth: And one of them is like Cincinnati cake smash or something. She's moved up to the second page. I'm just from one blog post a month for like three months or something. So it doesn't take much sometimes. Yeah, absolutely. Yeah. And she changed a different ranking on something else as well, but I can't remember off the top of my head if it was like a children's photographer or something. Um, but yeah, so even in the short amount of time we'd been doing it for people. It's made a difference. Um, so, but that's what, you know, that's what, and that's what a lot of photographers don't want to do. They don't want to take the time to know what they should be labeling files and photos and stuff like that or like how to code the keywords into the content. So it sounds natural, but it's still getting like Google what it needs to find the right information because you'd have to do it. Beth: So it's natural for people. Um, and a lot of photographers don't really do call to actions or understand why they're needed, like they assume people understand what to do next on their website once they're done with the blog post. But like everything we create has something specific. Check out this other blog posts of this session we shot in this area or like contact me now if you're interested in Xyz, you know, so we always include that as well to make sure the work on the content we're producing is leading the customer on that customer journey. Um, if they happen to land on content that we created. Um, but anyways, so that's the most common one is like one blog post and one newsletter per month. Um, but if it goes up from there, like we have people who do two blog posts in one newsletter, three blog posts and one newsletter. Beth: Um, and for people who don't have, um, newsletters and news that our audiences, we help, um, at least build out a sequence. Um, so if somebody, like, a lot of this is with mailchimp because no chimp is free for up to like 2000 people, I think, um, it has a lot of functionality for their free version. So, um, what we'll do is we will create an automatic automated sequence so that if somebody signs up for your newsletter, they're getting content dripped out over a period of time and then we'll help write the blog posts that contribute to that. Like what to wear to a session or like five things you want to do for your Irish wedding or something. Because I worked with an Irish photographer for blogging, so like, well, so if you don't have an audience to send to yet will help at least build out those, that content in your, in the automated sequence so that when they do sign up eventually that they have something that they're getting dripped out over time. Beth: Um, so, uh, and that's the other thing too. We rewrite that kind of content. So if you want to write a blog post, like how to prepare for your midwife session, if we can write that just supply us the notes and the bullet points that we need and we've all been in the photography and see like, um, like I said, the other girl used to be a photographer. The other girl used to be a professional retoucher. Like that was her full time job before she left the company she used to work with. So like we've all been in the photography industry long enough. Like we know what we're doing. So like that's why we're catering it specifically for photographers because we were in the industry and we know what we're doing. So like, there's that much less of a hurdle you have to cross really cause like there's a lot of things that, you know, industry to industry where there's entrepreneur, a photographer that overlap for sure, but it's that much easier when you're working with somebody who's familiar with the industry that you're in. Um, so that's one thing that has also been helpful. Like there's like working with my other editors is a lot of things they don't have to tell them because they worked in the photography industry. They just know to do it. So, um, that's another thing that's really helpful. Um, but yeah, it's entirely customizable based on what people want. So. Scott: Awesome. So, uh, so you already brought up a couple of topics that you could, that you've written about, um, can you share maybe a couple more that common blog topics that you've been asked to handle? Um, you know, so we got, we got a, a session, right? So you brought that up and then like these how to guides basically for, um, for, you know, a cake smash or four engagements or weddings and things like that. What else have you been asked to blog? Beth: A lot of it has been feature sessions obviously because that's one of those kind of things that photographers like to blog about, which is great because as soon as it goes live you can send it to your clients and say, Hey, I bought your session and then they share it and you can put it on social media and tying them, you know, and that kind of stuff. So that's really awesome. Um, another one that we haven't done before, but then I want to do is I'm like a featured vendor. So like you say, I shot because we always try to keep the number of images per blog post. I'm up to up to 20 because I figure people are looking through it on their phone. So after about 20 images, they get tired and they click away so they don't even get to there. And you may disagree with this by all means. Scott: so, so, um, I know I have, I recently came out with a course called more leads, more clients we're actually talk about, uh, uh, some of the strategy actually includes exactly that featuring your vendors. So what I'm going to say, and I'm going to share this with the core students as well, is for anybody who wants to go with something more strategic, first joined light course, more leads, more clients I will link to in the show notes and second, if you don't feel comfortable creating the content for this whole lead generation system that we'll be able to create the content. Beth: Yeah, I know just doing it. Like, you know, I always have to have so many million things to do. Um, but that's another one that I would really like to do more of. It just depends because if you're only doing one blog post per month or whatever, you know, you have to kind of say you're okay, figure out, okay, what's going to give me the biggest bang for my buck this month? Um, but for ones who are doing like three or four blog posts a month, you can easily include a featured vendor like almost every month. So that's another one. Other ones or just any kind of content that your potential clients would find helpful. Like what to wear or do a session, how to prepare for a session, um, what to expect after a session, how to pick a photographer, just like anything that they could possibly find helpful. Beth: Um, and if you're having a hard time figuring out what that is, think about your past clients and a lot of the questions that you get often or frequently, like what are some questions in the Faq? So you're getting on a regular basis, you know, feature of blog posts about one of those questions. Um, and like how you address it. And like how you direct your clients to work through it or work with it or whatever it happens to be. Um, and you know, obviously feature some of your own pictures and you can also do personal stuff too, like don't shy away from talking about obviously what you're comfortable with, you know, but sharing that some of that personal stuff with people because right now we're entering an age and getting into an age where so much interaction of what we do is online and in a way it's so impersonal. Beth: So the more of that personal element of yourself you can bring into it, the more people feel like they have a connection with who you are as a business owner. So one of the clients that I worked with wants to feature a story about her grandmother who was, who's like 90 some years old who is a professional bra size for her entire life. And I'm like, that's the most amazing story. Like I love that. What a cute little story. She's a food photographer, so like it ties in with that. So I'm like, that's awesome. Like if I saw that, if I was a client and I read that, I'm like, you featured your grandma on your blog because she was abroad. Sites are in profit entire life. That's absolutely amazing. Absolutely stand out to me as something that I'm like, wow, this person has so much. Like he is so interesting, you know, something like that. Beth: So don't be afraid to share like personal things, like some people do like a three 65 day project that they feature, which mostly personal stuff. Some people you know, feature images from their vacation. Um, it could even be self, like if you have a hobby features in pictures of like if you do clay clay works or something like that. I think of that because I know a photographer who does ceramics and clay and posted on facebook a lot. So features something like that, you know, like bring that personal element into it that makes you a um, uh, someone that sits behind the screen instead of just like a screen, if that makes sense. Like add that person. Beth: right before photography where you need people to be relaxed, to really kind of do what you need to do. Like some more they can feel comfortable with you beforehand, like exactly like you described, like the better chances we'll have of getting into that comfort zone in front of the camera. So. And your blog can be an extension of that to a by creating that personal facet right on your blog post to give people that impression that they feel like they know you a little bit already. So, um, that's one other thing I recommend to people is like, don't feel afraid to do something personal. Like, and talk about something personal. Anything that pervades your personality. Um, and don't be afraid necessarily to be polarizing because the people who don't like you probably aren't your ideal client and the people who do or resonate with you that much more and connect with you that much more to be like, oh my God, this is absolutely the photographer for me. So like, you know, don't be afraid to approach and opinion if you feel relevant to whatever you're trying to say. So. Beth: didn't have to do black sounds like there's no option. So I would say honestly like start small. You don't have to blog every single week, although I mean sure, that's great. Like I said, the one photographer we're working with, we're just doing one blog post a month and it's already made a difference in her google ranking in like three months. Um, so just making, making sure you're doing it intentionally, so like really zero in on your keywords release, zeroing on writing good content. Like talk to your audience, don't talk at them, talk to them like imagine that you're writing to a friend or something like that or telling them about the session or whatever it is. Um, and also like don't feel like you have to do a bit Julian images. If you have three strong images from a session there are just really emotionally strong or just beautiful in some way. Beth: And you say these are absolutely my star images. Blogs, those three, you don't have to do a lot of images, you really don't. Um, I mean it's, you know, more is better up to a certain point but don't feel like you have to, you know, like really just make it simple and sweet. I would say still try and have a decent amount of written content because again, the more your writing, the more that personality and who you are is coming through. Even if you're talking about your clients in that session, who you are and everything is still being pervade. So at least try to write it, you know, a few paragraphs. I would say two, three sentences each to elise and I'm thinking and I'm not even like even like someone who knows Seo may not necessarily be like the most perfect seo advice, but I'm thinking from a client perspective if I'm going to their website because you have to remember too, like I'm not a photographer, like I've never been a photographer. Beth: So I like I'm a lot of times I am my clients that do ideal clients. So I'm thinking like if I'm going to their website, like what am I going to want to see that it's going to help me determine my opinion, is this somebody I want to work with? And for me it would be like, just write a few paragraphs, two to three sentences each, um, you know, let your personality come through. Um, don't feel like you have to sound professional, sound exactly like who you are as a person, um, and just start with like once a month and make sure that at the end of it you're giving whoever's reading it, you know, your audience a clear idea of what they should do next. Like contact me if you're wanting to set up your own engagement session or click here to sign up for my newsletter or, you know, click here to check out a blog posts, have another session. I did an x, Y, Z location, you know, make sure you're including something like that. Um, as well. So that's definitely something I would just recommend is like, keep it simple, don't feel like you have to go overboard right from start. Scott: Yep. Great. Great. Great Advice. So let's move into newsletters now. So let's tell me a little bit about your newsletter services. I mean I know it's gonna be similar to blogging, but newsletters have to be treated very different than a blog because you're literally getting to somebodies inbox every time you do it. And that could be a little nerve-wracking as a time. So let's talk about. Beth: out of, out of relevancy very quickly on your blog. So I wouldn't necessarily keep that for a newsletter. And let's see, a lot of times the newsletters also, um, contained just a, like a little snippet of a blog post. That's why it's like blog posts and newsletter per month. It was like a little snippet of it. And then to read it, so you're getting people onto the site and then they read through the blog posts and then the bar closest contact me now. So you've led them from that funnel, from our newsletter to the blog post to the contact me. And ideally they get in touch. That's not gonna happen every time, but it's certainly not going to happen at all if you don't send the newsletter. So a lot of times our newsletters, reflective blog posts, they'll say, I hate, you know, here's the thing I did include maybe like one picture because you don't want too many pictures because a lot of email providers, like g-mail doesn't even show the pictures unless you tell them to show the picture in Gmail. So like we don't even include a lot of them because like why I, a lot of times the deliverability is better without images and stuff like that too. So we try to keep it pretty minimal. Scott: No, it's funny. Uh, I've been, I've been doing, you know, email marketing for years just as I have blogged. And, uh, at one point I would say maybe two years ago, I went from a beautiful MailChimp designed to a plain text design, literally no images, no color. It was just a plain text sign. My test was, how is it going to impact deliverability? And it turned out that plain text actually delivered a heck of a lot better than a design. But at what, what I found that was funny it was, I was getting replies from people that will never engage with the knee with the email list before. And the replies were, why are your emails pretty anymore? Beth: Oh my God, you're kidding. Scott: So I went back to having a, yeah, I went back to having a design because people were complaining about how ugly the plain text was. Then the, the deliverability went down. Again, not, not terrible, but it went down again. And the design simpler, there's some color and some, you know, there's a border and this stuff going on, but it's not as flashy as the original one was, um, as, as a hope to find a good medium. And I did, I found a good media. And by making it just a little designed but not overly designed. Beth: Yeah, we try overall, we try not to add too many pictures or but there will be some branding elements just to keep it consistent with brand and stuff like that. But for the most part, like we keep it simple and like a lot of times have to remember people are reading this on my phone. So like they're not generally like there's always, you know, if you're telling a really good story, generally they're not going to read a huge long email on their phone. They're gonna read it like a few paragraphs and be done with it. So we usually try to keep it pretty short and to the point with a newsletter and link out to external content if appropriate. Um, but a lot of other times that will do, would be like a model call. You could send that out in a newsletter too as well to your newsletter list and see what else could you do or in. Beth: What else have we done a partnering? Yeah, pretty much. We've tried to keep anything that ms.date sensitive to a new center because it would go out of date on a blog that much quicker. So if you want to let people know that you have like two sessions spots left to fill or session spot opened up or you're doing a day of minis, or you know, something like that is great content on for newsletters. And then like I said, also just you know, you know, here's a blog post. You obviously don't use this tech specifically, but like you know, here's a blog post who's doing to it to read more. And then they ended the blog post says don't contact me or something like that. To kind of lead them through that funnel. So like newsletters, it's kind of a little bit more wishy-washy because you have that ability to do like the date specific stuff. Scott: did that answer, you went through the gamut of, of everything that you offer for newsletters. And in fact, my next question, you actually answered earlier under the blog discussion about auto responders. So the next question was do you create autoresponders for photographers or just individually emails. You're obviously doing both, which I think is fantastic. Um, so, uh, I'm a big, big advocate for setting up a really good auto responder campaign or mailchimp now calls them automation. So, um, I, I'm a big fan of that. Uh, I used it for a variety of things and I specify it per a photography category. So like my, my automation is different for families and it is for cake smash that it is for headshots now because I offer all three. I have no automation campaigns for all three. Um, and then of course I also do individual emails and I also do, I automate my rss feed. Scott: So if you're in my family category, my family group in Mailchimp, then once a month or once a month, maybe it's once a week. I can't remember. Whenever I publish a new article and family, you're getting that blog post automatically. Uh, if you're in cake smash, you're getting that an article on cake smash automatically when I publish new content. So I'm a, I'm a big, I'm a big fan of, of, of automation to save time. Um, you know, and then the individual, the individual emails is where you take a, in my opinion, is where you spend most of your time polishing and making sure it's, the deliverability is up, and it's no nicely, nicely laid out. Beth: So that's one thing. Um, and we'll also work with people if they don't have a sign up on their website yet, we'll do our best to make sure they get one because we've worked Squarespace, Wix, Weebly, WordPress, obviously, you know, those are like the four big ones that photographers use a lot of times. Um, so like if you don't have a sign up we'll work with you on like getting one. I'm on your website to make sure people can get the content or like sign up for the content. Um, but yeah, we work with people and if they don't have like I don't know what to write in an automated sequence. Like depending on what kind of photography they do, we can provide them ideas because as soon as you say to a photographer like wedding photographers say, and they didn't know like what to write, I could just be like, okay, well why would you suggest for putting together a timeline? Beth: And they can obviously get that information because they've been doing weddings long enough that they can put together an awesome timeline, you know, so like they have so much. It's usually just like kind of like prompting them because a lot of times photographers think it has to be something huge and complicated and hard and it's like, no, just like sharing. You've been like, you've been doing this for awhile, like share your knowledge about and like you've been doing this for awhile but your clients haven't. So like share your knowledge and like there's so much of what they do automatically that they just don't consider it to be something their clients want to read about. But in reality it is because they have no idea because that's not their job. So, um, it's like anything like what to wear. I'm like, okay, so you're a family photographer. Scott: for sure, yeah. Um, so let's, uh, to close out this conversation, we've got this newer series, a newer thing, whatever you want to call it, a call to action on the podcast where we ask you the guest to ask a question to the listeners of the podcast. I'm so, Beth, what kind of question do you have for everybody who's listening or watching that you would like for them to answer after they listen to or watch? Scott: fantastic. Um, so, um, like I said, in a way, in the beginning I've known Beth for some time. 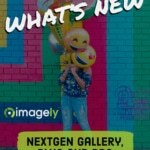 She actually wrote an article for imagely. I wrote an article for photo crotty. I'm going to link to both those in the show notes along with everything else where to find her another great step by step outsourcing article that she wrote and a bunch more. So, uh, you know, I'm gonna link to, to Chris Aram, to beaver builder to mailchimp and so on. So, uh, you'll find it all in the show notes. Thank you Beth so much for joining us today on the show. I'm really glad that you're able to join. You can find the show notes where to find Beth and to answer her question that she just asked you at imagely.com/podcast/64. Until next time. 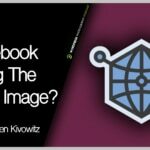 Episode 62 - Is Facebook Sharing The Wrong Image?